Customized water guns will bring you easy acceptance from the most critical customer segment who are kids. It is seen that kids love soaking each other with these water guns, also known as water blasters. This time you can enhance their summer fun by giving away any of these logo printed water guns. 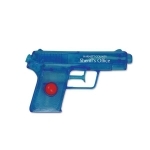 We offer these sporty water guns in different sizes, colors and shapes that most kids will love. Shop at Promo4kids.com to receive attractive discounts on wholesale orders of these water guns! Our fast shipping and fast production time will keep you equipped for the next event. You can silence your critics by showing the huge savings that you made on bulk orders, online design proof and artwork assistance. Do you know water guns are one of the best recreational toys used in summer by kids and elders? We are sure that these blasters and super soakers will offer hours of entertainment to your kids and other young customers whom you encounter during community programs, tradeshows and during summer marketing events. You may think why should you go for water guns when there are so many promotional giveaways for kids? We will say that playing with water gun possesses several advantages over other sports such as Nerf, Airsoft and Paintball because ammunition is free. Water guns produce streams of water that are a great relief during the scorching summer months. Kids love to have fun by wetting each other with these guns. Although most parents will get tensed about hearing the word guns but they need not worry when kids are playing with guns filled with water because injuries are rare. No face protection is required and your recipients can attempt it by wearing their sunglasses. Water guns are inexpensive than Airsoft or Painball guns. Unlike Painball or Airsoft, no cleaning is required because water soaks up easily. Personalized Pistol Water Guns - Some may call them squirt gun but these logo water guns will easily put your brand logo in the limelight. Water guns are one of the best sellers and have been an industry standard for about 60 years. Say no to high tech toys and embrace these user-friendly water guns. Order before your next event. Smile Face Water Guns - Custom printed smile face water guns offer double benefits of investment. These will produce smiles and amusement on the faces of kids. 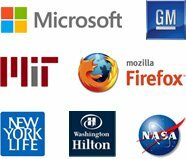 Your brand logo will become the marker of fun and amusement. Do you want to have some summer fun to your campaign? 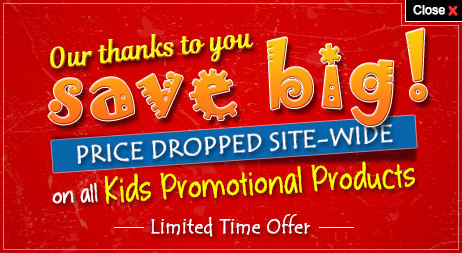 Order these kid-friendly promotional water guns today! If you fail to understand what good they will do to your brand then call us at 855-454-3786 or email us at info@promo4kids.com to know more.